Pargo is all about convenience, not only convenience for Pargo customers but also for pick-up points. This is why we constantly improve communication, processes and technology. Our Pargo app has recently received a Facelift. 1. Scanning – The scanner serves to scan the bar code. Users can now switch between automatic and manual entry option. 2. Support messaging – If you have any questions while using the app you now have a direct helpline. Feel free to send any queries or issues you may have regarding the app via the new support messaging system. 3. 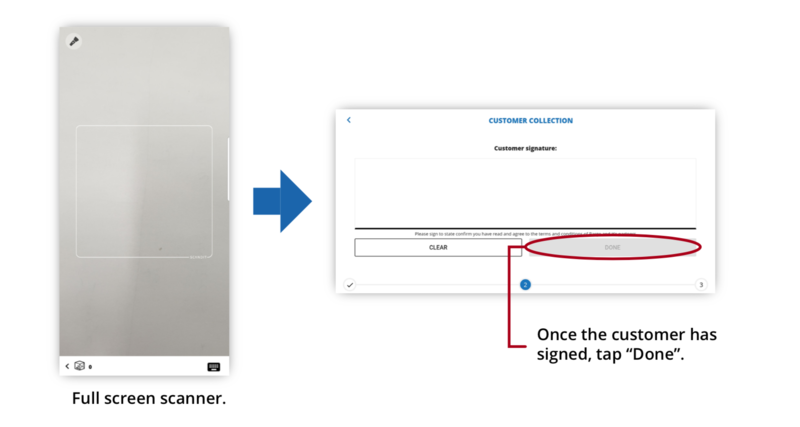 Customer signature – With the new app, the customer signature can be done on a full screen after the parcels are scanned out. For more detailed changes on all the awesome new features please have a look at our app guide below. • The new app is available in Play Store. • Your device will need to have an Android operating system of 4.4 or above. The new half screen scanner aids to identify the parcels that are being scanned in. Ability to enter waybills manually by tapping the keyboard icon. Once you have entered the waybill number, you can select the arrow button. Once all of the parcels have been scanned in, tap the “Done” button. Customer provides their PIN. Enter this PIN number and tap “Get Order Details”. 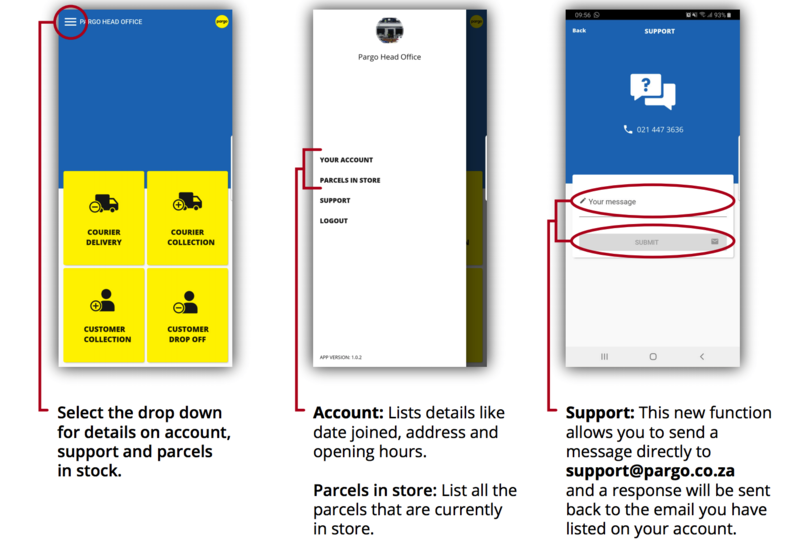 Tap “Scan Out” and full-screen scanner will now appear (if you cannot scan a waybill, select the keyboard icon for manually scanning parcels out). NOTE: Parcel must be scanned out BEFORE customers sign for their parcel. Half screen scanner will appear along with the list of parcels to be returned. You can now scan all the parcels immediately without having to select them individually. 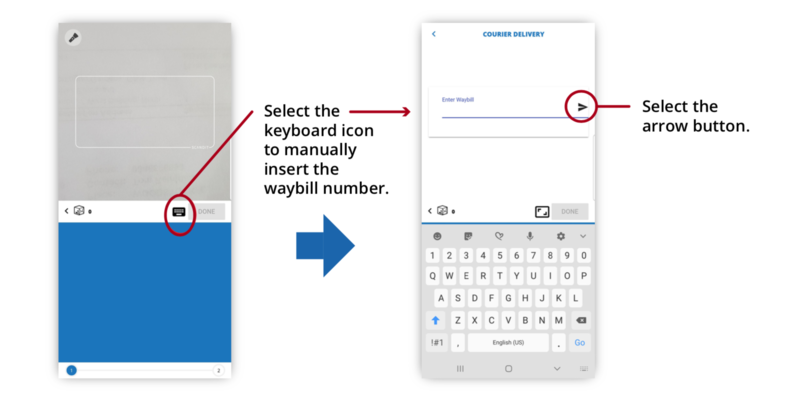 If you cannot scan a waybill, tap the keyboard icon to manually enter the waybill. Please download the new Pargo app via the playstore. If you require any additional information or additional training please contact support@pargo.co.za or 021 447 3636 and we will gladly assist.